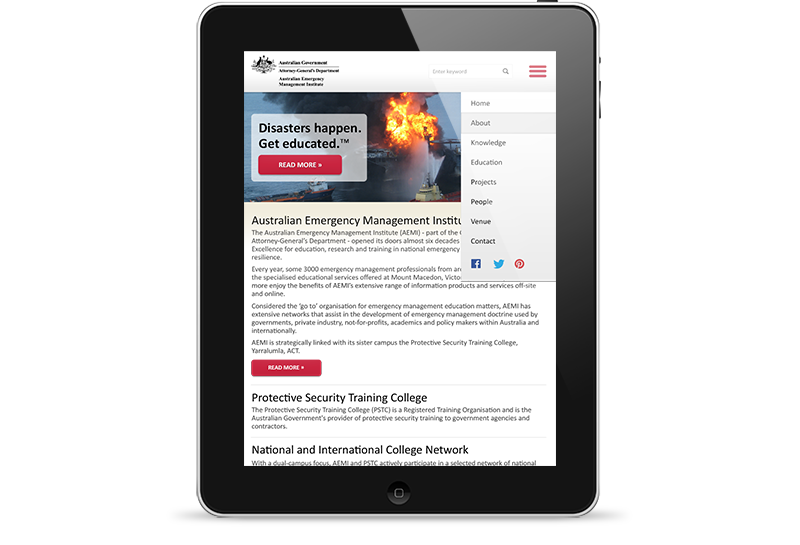 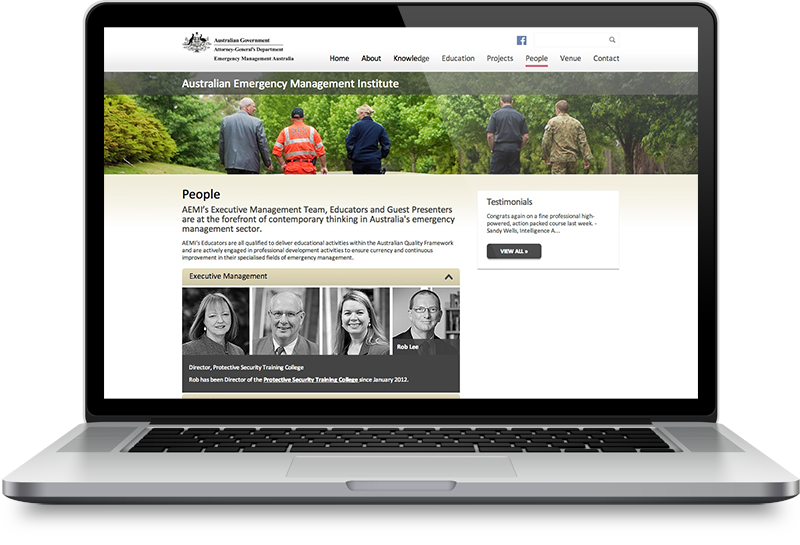 Australian Emergency Management Institute (AEMI) is part of the Australian Attorney-General’s Department and is the Centre of Excellence for education, research and training in national emergency management and disaster resilience. 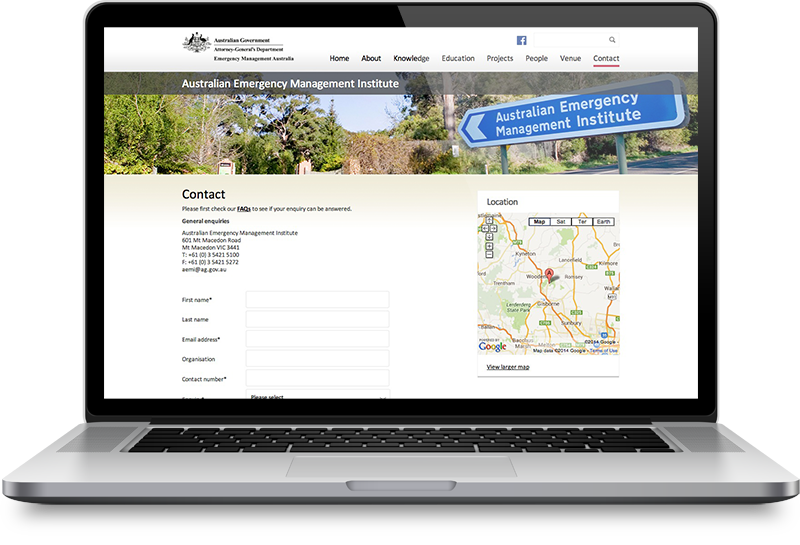 I worked with AEMI to build a responsive custom website design to represent AEMI and form a primary touchpoint to generate new clients and service their existing client base. 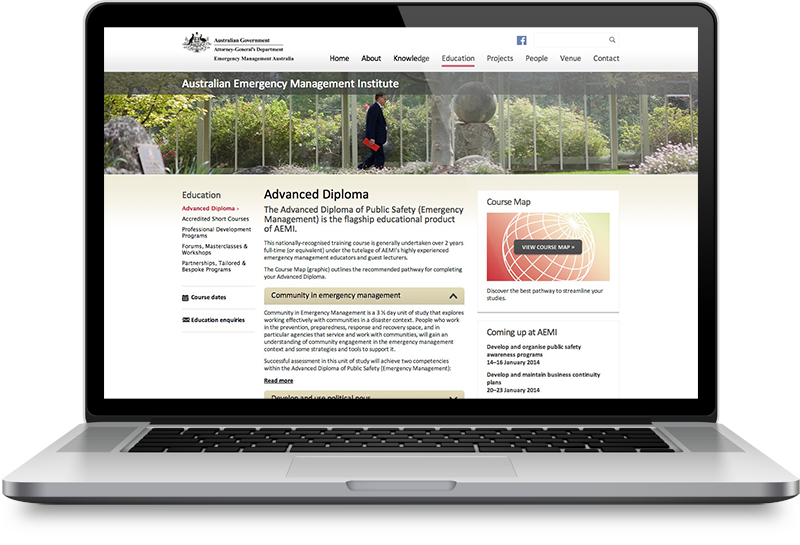 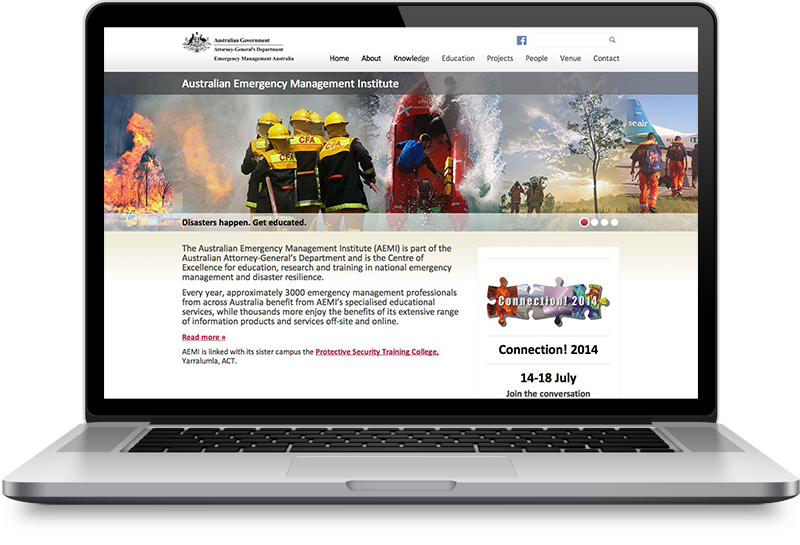 Every year, approximately 3000 emergency management professionals from across Australia benefit from AEMI’s specialised educational services, while thousands more enjoy the benefits of its extensive range of information products and services off-site and online. 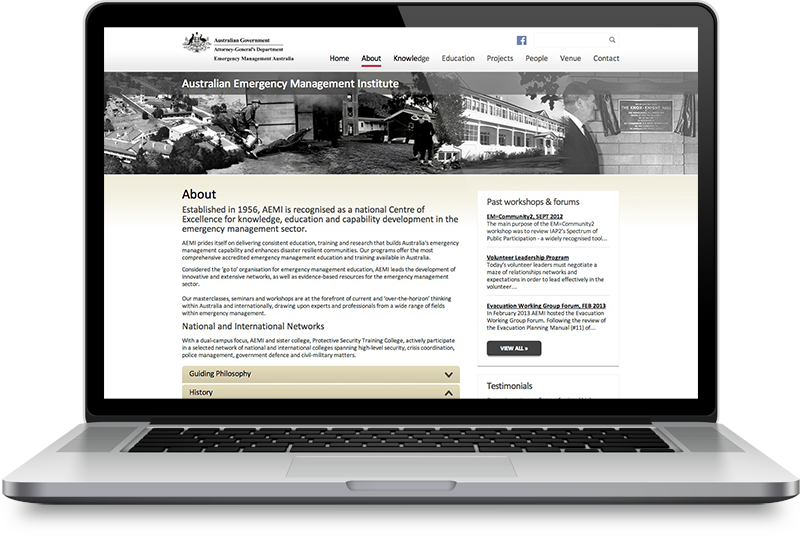 The website design is responsive and accessible across desktop, tablet & mobile devices and utilises strong AEMI branding elements whilst offering a clean, intuitive and easy to navigate experience. 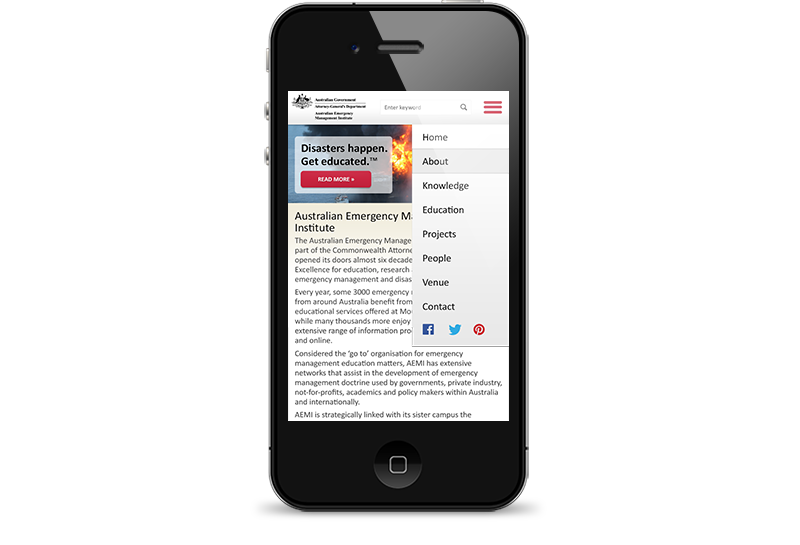 The design includes features such as WC3 accessibility, strong brand imagery, elegant typography, clean lines, custom iconography, white space and flat colour with subtle depth.